Turkey is hosting some 2.7 million Syrian refugees. Only about one tenth are in camps and the rest spread around urban areas. Local cultural and religious affinity with the Syrian migrants has kept social friction low. Turkey and the European Union signed an agreement on 18 March 2016 on how to share the burden of current and future refugees. The details of the agreement, along with its legal and moral aspects, have been widely discussed in Europe. For Turkey, the country that is hosting the highest number of refugees, some questions still remain. What do Turkish citizens think of the current situation? While some European countries are not even prepared to take in very small numbers of people, how come the Turkish public is not outraged by millions of migrants? How does a country with a very limited understanding of multiculturalism accept Syrians? These sorts of questions make you realize how important it is to distinguish between the government and the general public perspectives. The current situation inside the country also needs to be taken into consideration. Turkey has been going through one of the toughest periods in its history. There has been a certain amount of backsliding regarding basic rights and freedoms and a deterioration in security, especially in the South Eastern regions of the country. Furthermore, there is a possibility of regime change in the near future, with a move from a parliamentary to a presidential system. One very important issue is how secular the new constitution should be. In the meantime, the current Prime Minister, who has been the main interlocutor on the Turkish side of the refugee deal, will go in May. The political dynamics of the refugee issue have made it clear that the government has used the issue as a lever in its negotiations with the European Union. Since October 2015 the relationship between Turkey and the European Union has been unexpectedly revitalized. This current “recovery” has wisely been used to push for new chapter openings and, most importantly, to accelerate talks for visa free travel for Turkish citizens (a long term sticking point). The government signed and sealed the EU-Turkey refugee agreement and pushed the button for complying with the 72 criteria for visa free travel. On 4 May 2016, the European Commission published its third report on progress by Turkey in fulfilling the requirements of the Roadmap and recommended lifting the visa restrictions. The proposal is now on the table and the way open for the European Parliament and the Member States to lift visa requirements. While the Turkish public is preoccupied with internal problems, the country is hosting 2.7 million refugees (UNHCR data April 2016). Syrian refugees have no official status in Turkey. They are called “guests” and have no basic rights as asylum seekers. They are working in all kind of jobs – legal and illegal – but have no social rights. There is human trafficking and all kinds of illegal activities. Furthermore, only one-tenth of the people are living in refugee camps, with the rest spread around urban areas. Despite the size of the Syrian community there have been no mass protests in Turkey. Why is this the case? Here are some possible answers: first of all, the state/public relationship in Turkey is not based on public reaction. Many things are accepted without needing public validation. Secondly, certain benefits of the black economy are shared out among different stakeholders as unregistered Syrians work for lower wages and house prices and rents have increased as wealthier Syrians buy houses and the less well off seek to share apartments. Last but not least, there is a cultural and religious affinity with the Syrian migrants that emphasises humanitarian rather than strategic thinking. The only area where there has been a more negative public reaction is in the relocation of Syrians who are followers of the Sunni branch of Islam. There have been attempts to settle them in Alawite (Kurdish) villages in Eastern Turkey and refugee camps in Western Turkey, such as Dikili, Izmir – the arrival point for the people coming back from the Greek islands. The Eastern Turkish city of Maras saw mass protests against the migrants, while those in Western Turkey protested that the influx not only posed a danger to their lifestyle but would negatively impact their tourist based economy and security. These protests were not widely covered in the Turkish national media, since most of the outlets are controlled by pro-government supporters. Important questions have still not been dealt with and Turkish public opinion and civil society initiatives to improve the lives of migrants have been ignored. There needs to be a much more detailed and serious debate. 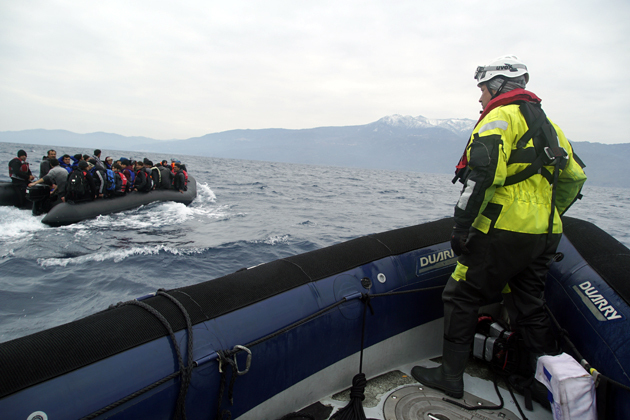 This article is part of our dossier "Crossing borders – refugee and asylum policy in Europe". The current ‘refugee crisis’ represents a political crisis for Europe as lack of coordinated action. Our dossier is an attempt to see how national differences present themselves and what common ground might still be achievable for a common European policy.